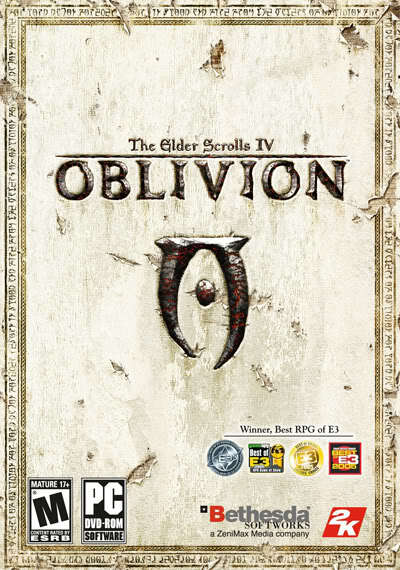 OK so I've always wanted to play Oblivion but never got round to it and then when Skyrim came out and it was all the rage, I thought, it's the perfect time to play it, and wow was it a stunning game. So where do I begin? The game itself is so vast and so diverse that you are immediately immersed into the world of Cyrodil, Tamriel, whether you follow the game's linear plot line or go off honing skills, completing side quests or even just do whatever you like! 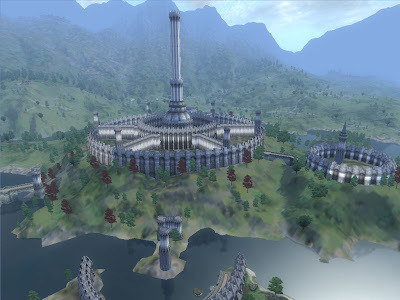 The game starts in the Imperial City Prison, where you are held captive. The Emperor sees something special in you and entrusts you with the Amulet of Kings just as he is assassinated. Your quest is to find the heir to the throne and close the gates of Oblivion which have begun springing up all over Tamriel, in order to defeat the forces of darkness. As character building is a major part of the game experience, you get to choose a race as well as a class (battlemage, knight, healer etc) which will help determine which skills you are better at and what attributes are advantageous to you. The range of possibilities in character building is huge and you have to make this decision very shortly after starting the game, so for first time players, this is a bit confusing and they may not have selected the optimum combination, but there is no better selection, just depends what you would like to do in the game! For me, I wanted a mix of combat and magic so selected the battlemage class. Leaving the prison, the world literally is your Oyster. You are free to explore the world as you wish and you could completely ignore the main quest and spend hours and hours doing other things. The main quest itself was rather easy and I didn't have that many problems getting through it. The story was quite interesting though a bit short. If I just did the main quest, the game would probably have finished within several hours. However, with the addition of guilds (Fighter's guild, Mages Guild, Thieves Guild, The Dark Brotherhood) provides hours and hours more of fun. By giving you quests, you advance the ranks of each guild and unlock many bonuses to your character building, objects and more. However, some of the guilds are in conflict and you have to be careful with how you carry out the quests to prevent upsetting the guild and being kicked out! 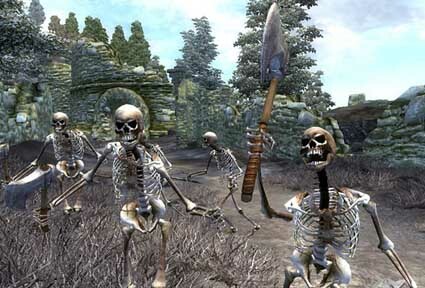 Of course, the world of Tamriel isn't just full of fun and games. As you travel between towns and cities, danger comes in the form of creatures and wild animals such as bears, wolves, ogres and even some rogue people! As you level up, these opponents become stronger and more challenging to defeat, so you will never find it a breeze. There are also hidden places such as shrines, forts and other destinations which hold their own quests, items, secrets and danger, so make sure you are prepared before exploring them! One time I left a dungeon in a secret door and found myself at the bottom of the sea!! In terms of skills, you can do all sorts. One of my favourites is alchemy, where you can find natural ingredients and form potions by mixing them together, each has its own special effects. I also love summoning creatures as well as casting powerful spells. The game is practically endless and that is what I love about it. I could spend hours just walking around exploring new parts of the world and it amazes me the attention to detail that is put into even the edges of the game. The non playable characters are lively and each one has a new personality. I do like that the game does not force you to do or not do anything. If you don't like someone, you can just kill them or steal from them but beware of the consequences! 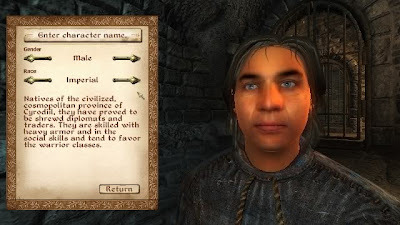 With hundreds and hundreds of hours worth of play time, the Elder Scrolls Oblivion is surely one of the biggest games (apart from the improved Skyrim) out there and it is definitely worth a play if you, like me, are new to the series. The diversity of the character building (you can replay the game as a different character for a new challenge if you so desire), the beauty and vastness of the world as well as the huge amount of quests to complete, this game is immersive and truly addictive. 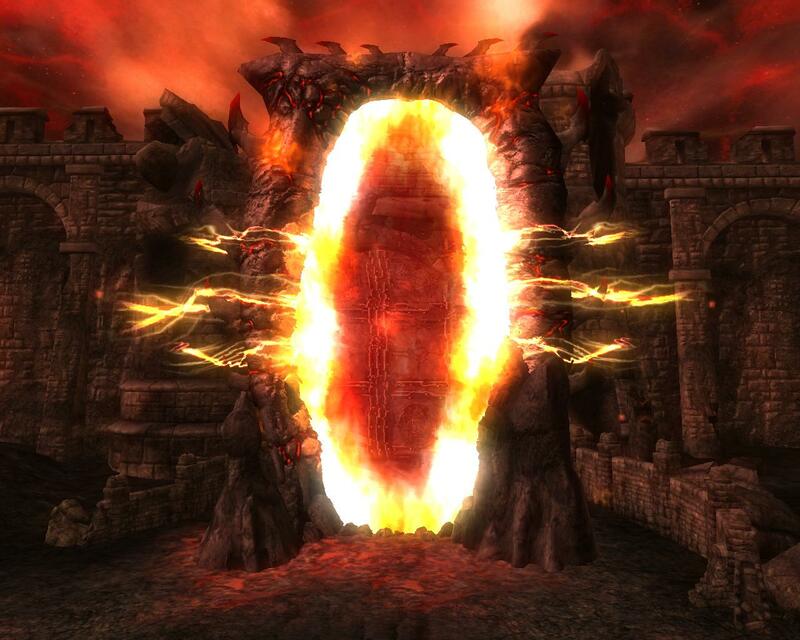 I "finished" it with many unexplored quests I'm sure but I think it's time for me to get Skyrim.